October 1, 2015 is rapidly approaching. As a small business owner, if you don't know what this date means, it's time to start paying attention. If you have a personal or business credit card, more than likely in the past year you received a new EMV card from your bank. This new card has special chip in it that your old card did not have. EMV is a global payment system that includes a microprocessor chip in debit and credit cards. The intent is to make them less vulnerable to fraud for in-person transactions. Because EMV uses better data security, this standard has been adopted in the United States and the transition is well underway. EMV terminals are already in use all over the world and growing more popular in the United States as the EMV transition is implemented and as integration deadlines approach. Starting on October 1, 2015, the liability shifts to businesses (large and small) for fraudulent chip card transactions. This means if you accept a chip card with a magnetic stripe reader(instead of with an EMV-ready reader), your business will be responsible for the cost if the transaction is fraudulent. This could be extremely costly for your business. The time is now to ensure your credit card terminal is EMV ready. Changing out terminals and processes can be intimidating for many business owners simply because they are not comfortable with the technology. Unfortunately, delaying this transition for your business could ultimately be very costly. Novera Payment Solutions is here to make the EMV transition simple and seamless for your business. With 24/7 world-class support, upgrading your business card reader(s) couldn't be easier. You'll have the ability to accept credit card and debit cards anywhere at any time; and with Novera Payment Solutions innovative flat fee merchant account, your business will also save a significant amount of money on credit card processing fees. October 1, 2015 is a mere two weeks away. Contact Novera Payment Solutions for a free consultation on the EMV transition. We are here for you! With the liability shift quickly approaching in October of 2015, it is a good idea for merchants to have the EMV security measure in place. While compliance is not mandatory for merchants, those who don’t upgrade to EMV-compliant terminals face a liability shift for fraudulent transactions. Integrated payment solutions that combine software with the latest payment processing systems (including EMV capabilities) are the best choice for merchants. As an ISV, Novera's WorldPay Link Gateway provides the opportunity for you to easily integrate EMV-compliant payments into mobile, P.O.S., and even QuickBooks® processing solutions, it can even utilize multiple processor platforms. This new gateway makes it easy for merchants to accept payments anywhere they do business. Allow merchants to accept payments how and when they want including online, point of sale (POS), mail order/telephone order (MOTO) and mobile credit card payments. Flexibility to process transactions in real-time or batch processing for efficiency. Limit the risk associated with storing sensitive credit card data by using the tokenization and stored profiles. A robust yet easy to use recurring billing system that can be configured to suit the needs of businesses for membership dues or subscriptions fees. Hosted payment solution that offers complete control over payment processing and customer experience without the costs and burden of security compliance for hosted transactions. A customizable fraud and risk management system that maximizes sales and minimizes risk. Payment integration plug-in for QuickBooks® POS to help expand the payment types merchants can accept, process and automatically record them within QuickBooks®. This Feature Gives merchants flexibility to accept checks through online ACH, check conversion or check 21 and process them using the same gateway process they use for all of other electronic payments. The Novera Payment Solutions team understands that protecting your business and your customers is very important. You will be provided the tools and support you need to help simplify your PCI obligations and EMV integration to reduce the risk of fraud. 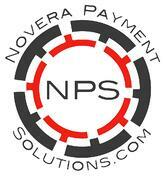 Novera Payment Solutions, LLC (Novera) based in Atlanta is a registered Member Service Provider (MSP) of WorldPay. and a registered Independent Sales Organization (ISO) with Visa & MasterCard. WorldPay acquires transactions coast to coast and around the globe ranging from brand name companies you already know to independent businesses in your own community. Point of sale authorization through settlement of funds, WorldPay provides the highest standard of payment processing to businesses ...businesses just like yours. WorldPay also offers seamless support and integration with industry-leading point-of-sale platforms and middleware providers, and it works with POS providers to certify new systems to their network on a ongoing basis. How does EMV apply to payment gateways? Some merchants connect to their payment processor through a payment gateway. Gateways used for card-present transactions will also need to undergo EMV testing and certification. Note that eCommerce payment gateways, which operate in a card-not-present environment, will not need changes for EMV. What should merchants consider before making a POS device purchase? Determine if the new POS device that you’re considering will have contactless payment capabilities. Many POS devices bundle EMVcapable and contactless (NFC) payment features. This may allow you not only more secure transactions but also more ways to accept payments in the manner your customers want to pay. What is my timeline for establishing EMV acceptance? The payment network rules do not require you to switch to an EMV card acceptance process; however, if you do not switch to an EMV card acceptance process by October 1, 2015, you will be held responsible for the costs associated with use of a counterfeit EMV card in a card present transaction at your location. How can a Non-EMV-compatible device accept an EMV card for payment? EMV cards issued to US cardholders will be hybrid versions, meaning the card will have a magnetic stripe on back and chip on front. As a result, EMV cards presented for payment can still be accepted at a non-EMV-compatible POS device (payment terminal). Is PCI DSS compliance still necessary after EMV POS devices are implemented in my business? Yes. 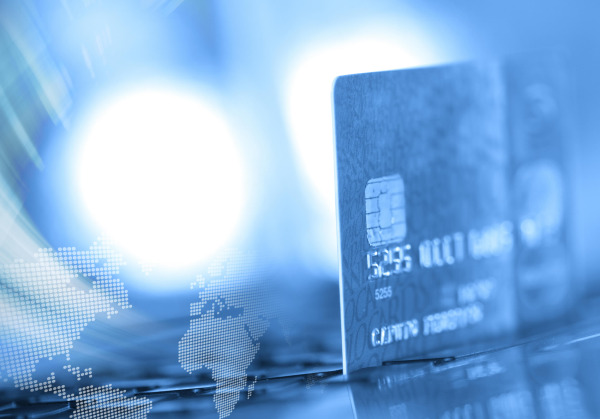 PCI DSS examine the payment environment and evaluate how your business accesses, transports or even stores cardholder data. PCI DSS compliance will remain a requirement. Is end-to-end encryption (E2EE) still relevant with the introduction of EMV chipcards? Yes. The chip in an EMV card protects individual transactions by adding a secret number only the card issuer knows, which verifies that the transaction is legitimate through an EMV-compatible POS device. However, EMV is not designed to encrypt the sensitive card information (Account Number, Exp. Date, etc.). Therefore, it is still possible for thieves to duplicate card data and create counterfeit cards that can be swiped for use at businesses that haven’t upgraded to EMV-compatible or EMV-enable POS devices or could be used with online retailers. Encryption removes this cardholder data for your POS device, which simplifies the scope of your PCI DSS obligations. Merchants who participate in Worldpay’s E2EE program receive an indemnity waiver of up to $100,000 in total—which includes up to $30,000 in approved compromise associated costs, such as forensic audits and fines, as part of Worldpay’s PCI Program , plus an additional $70,000 if you experience a compromise as a result of the failure of Worldpay’s E2EE equipment to encrypt when used properly. Note, not all card transaction types are available for the E2EE service, and additional terms and conditions apply so contact your Worldpay representative if you are interested in learning more. EMV capabilities along with E2EE are a great combination for highly secure payment acceptance. Currently, the EMV standard exists solely for the card-present, face-to-face environment. Worldpay will work closely with the card associations to monitor any new requirements for card-not-present transactions. What is Worldpay’s EMV status? If you have additional questions, contact Novera Payment Solutions. We’re happy to help. 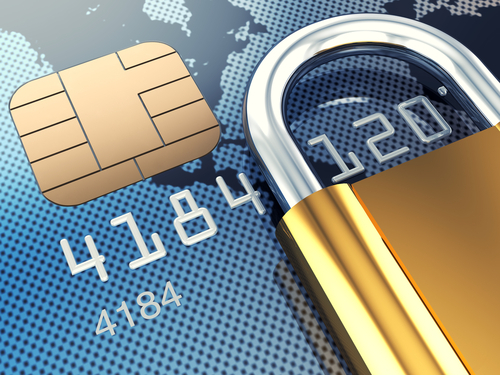 What makes EMV transactions secure? Card Authentication: Is the card real? Unique data for each transaction travels between card, the POS device and issuer to ensure authenticity. EMV transactions also create unique transaction data, making captured transaction data incapable of being used to execute additional, new transactions. Cardholder Verification Method (CVM): This step validates the cardholder as the legitimate owner of the card, using verification parameters set up by the issuer. The issuer of the card determines which of the following four methods will be required for a particular transaction: online PIN, offl ine PIN, signature or no CVM required. EMV supports each of these four verification methods. Transaction Authorization: Like today’s magnetic stripe transactions, transaction information is sent to the issuer for approval. What’s different is a transaction-specific cryptogram (code) is also sent to the issuer who then either approves or declines the transaction and sends a unique response cryptogram back to the POS device for the card to interpret and validate the transaction. The dynamic exchange of information needed to execute each transaction provides the extra security missing from the static, old technology used in magnetic stripe transactions. How many US credit cards will be EMV-enabled by the end of 2015? What are the key benefits of moving to the EMV standard? When can US businesses expect customers to begin presenting EMV chip cards for payment? Now. The Smart Card Alliance/EMV Migration Forum in May 2014 estimated chip cards in the US total between 17 and 20 million. It’s important for businesses to develop EMV POS equipment adoption plans now. Should merchants upgrade or buy new POS hardware and PIN pad devices? Review existing POS equipment or systems to learn if upgrades are possible or whether new EMV-compatible POS hardware must be purchased. Standalone POS. The only job of stand-alone POS is to authorize and clear payment card transactions and it is the easiest EMV solution to implement. Worldpay’s standalone EMV solutions: POS VX 520 terminal and VX 680 wireless terminal. A remote EMV software download will be scheduled before the October 1, 2015, liability shift. How are chip cards different from existing magnetic stripe card technology? The EMV “chip” is a secure microprocessor built into a card or other payment devices (e.g. mobile wallet on smart phone). The chip generates a unique number for each sales transaction, making it extremely difficult to use a cloned card fraudulently on a card-present transaction. Magnetic stripe cards use static cardholder data that remains the same for every transaction, which makes them attractive targets for theft , cloning and use in card fraud. In addition to strong security features, chip technology includes other capabilities—like Near Field Communications (NFC) technology—which lets merchants accommodate both contact and contactless payments. 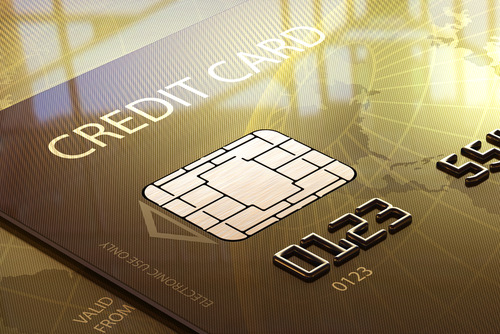 EMV chip cards are already well-established outside the US, particularly in Europe. Crime migrates to the easiest targets, which right now includes the US. Upgrading to the EMV standard is anticipated to greatly reduce card fraud here in the US. 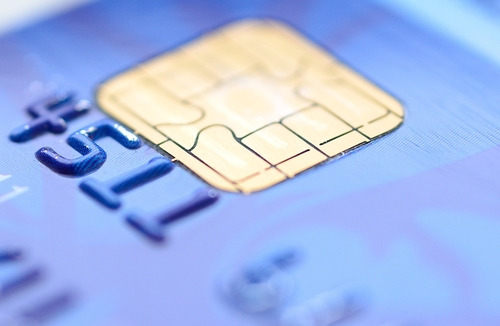 Why will more US merchants move to the EMV standard in 2015? Beginning October 1, 2015, the major card networks agreed to shift financial responsibility for losses due to counterfeit card-present card fraud to the party using the least secure technology. Merchants that want to avoid this liability should implement EMV chip technology in their point-of-sale (POS) devices before the deadline. Chip and PIN payment devices are deemed most secure for card-present transactions. Ask Worldpay if you need help making decisions about EMV POS device purchases. What does the financial liability shift mean and how will that affect my business? Please note a chip and PIN terminal provides the most secure transaction environment available today. If you have any questions about the EMV transition, contact Novera Payment Solutions. We are here to make the transition as easy as possible for our clients.